'Pile Wonder' along with 'Worm Visitor' was one of the curious titles that first led us to take an interest in procuring the Mega Duck handheld. Despite both games sounding like they might be part of a series exploring advanced rectal complaints, they instead turned out to be much more traditional clones of familiar classics. So, just as Worm Visitor turned out to be an enhanced version of Frogger, Pile Wonder, even from it's box art alone, is pretty clearly a clone of classic head scratching 'move the boxes' puzzler Sokoban. You play as a little (and we do mean little) warehouse grunt, tasked with pushing boxes around various mazes so that they all fit neatly over the relevant marks on the floor. Try not to lose your head over the thrilling nature of these screenshots! 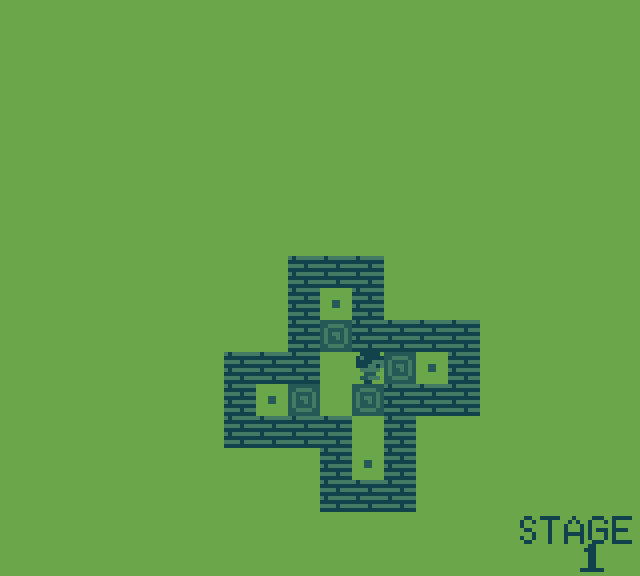 As you can see, early levels leave an awful lot of green space, making you initially question why the sprites are so small. 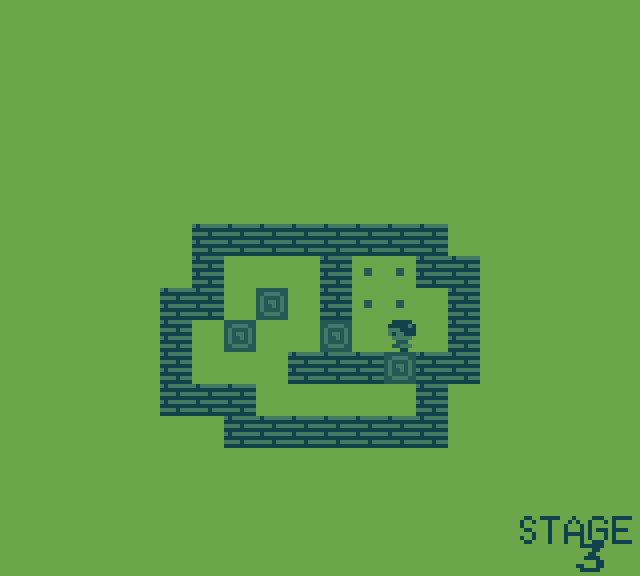 However, later levels do utilize this space as stages become more and more complex and brain taxing! Whereas Worm Visitor had all kinds of fancy flourishes that made us fall in love with it's peculiar take on Frogger, Pile Wonder is as bare bones a clone as you can get. While it's not as basic as some Sokoban clones (your character is properly animated and doesn't just jerk around the screen frame by frame as in some other clones) the graphics are kept simple and indeed the tiny play area is a little disorienting at first. 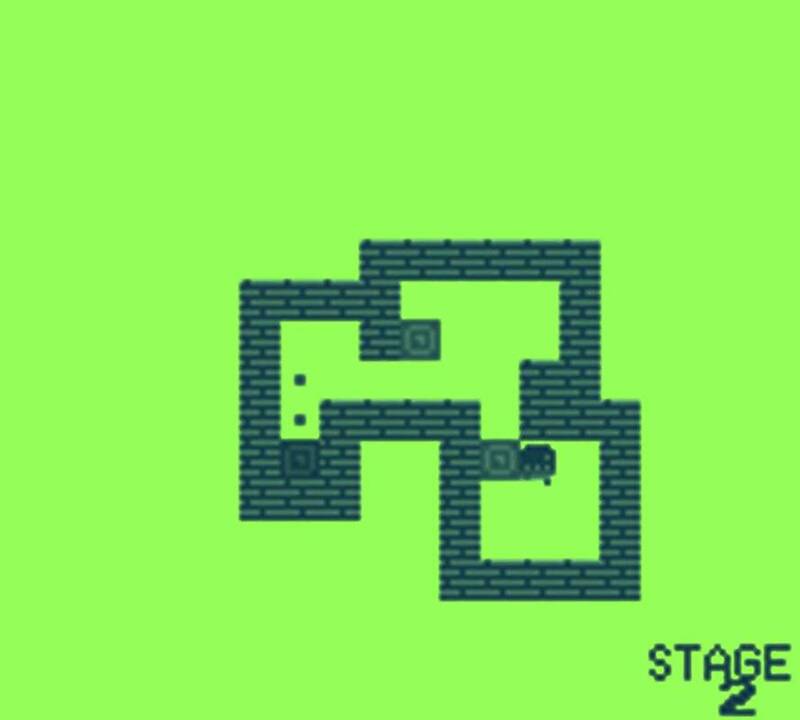 As you progress through the stages the tiny mazes of the first few levels do spiral out in compexity, which explains the decision to keep everything small and minimalist. This is not a game that would benefit from fancy flourishes, although some of Sachen's trademark cut-scenes would have been nice. Musically, the game has an inoffensive little ditty that suddenly explodes into a dual channel joy for a brief moment, only to loop quickly back to beeps and bloops. Again, with the lack of sound effects in the game, a few more tracks would have been nice to break the monotony. Perhaps 'monotony' is the biggest problem with Pile Wonder (and indeed all Sokoban clones). These games never advance beyond their core premise of box pushing and it becomes too easy to simply sigh as the next, even more complex stage loads up and flick the off switch out of boredom and a simple feeling of "I can't be bothered". Pile Wonder's main character is Sisyphus in action, condemned to repeat the same repetitive task again and again without ever gaining any reward other than an even harder variant of the same dull task. Thankfully the game does give you passwords for each level so it can be played as a quick five minute brain teaser without starting from scratch again each time. It also has a nice "rewind" feature whereby holding the 'B' button makes time flow in reverse, undoing any mistakes piece by piece. This is a lot less frustrating than having to restart the stage from scratch if you mess up. Your enjoyment of Pile Wonder will ultimately depend on how much you enjoy Sokoban style games. As a Sokoban game, it's a faithful "port" that plays nicely. However, as a videogame, there are much more interesting titles out there that don't feel quite so much like hard work.